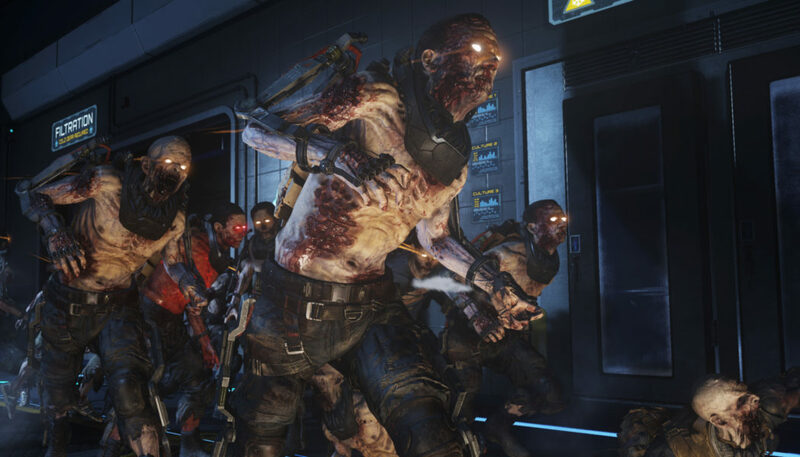 There is a second part to Call of Duty: Advanced Warfare’s cooperative zombie experience and Activision has just released a trailer for it- Exo Zombies Infection. Much like the first part of Exo Zombies, Infection stars John Malkovich, Bill Paxton, Rose McGowan, and Jon Bernthal. After making their way through the overrun Atlas research facility in the first part, the four head towards a Burgertown franchise where they must keep fighting for survival. The second part features a new weapon, new traps and a heavy zombie type. Exo Zombies Infection comes with Advanced Warfare’s Ascendance DLC pack, which releases on March 31 for Xbox Live, with other platforms to follow.